Locals say it is really very easy thing to do. Well the reality is a wee bit different. You can get to Argentinian falls from Foz by bus or taxi. 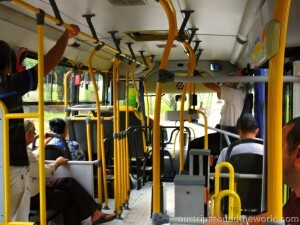 The bus from Foz do Iguacu to Puerto Iguazu is for sure cheaper option and so we chose it. 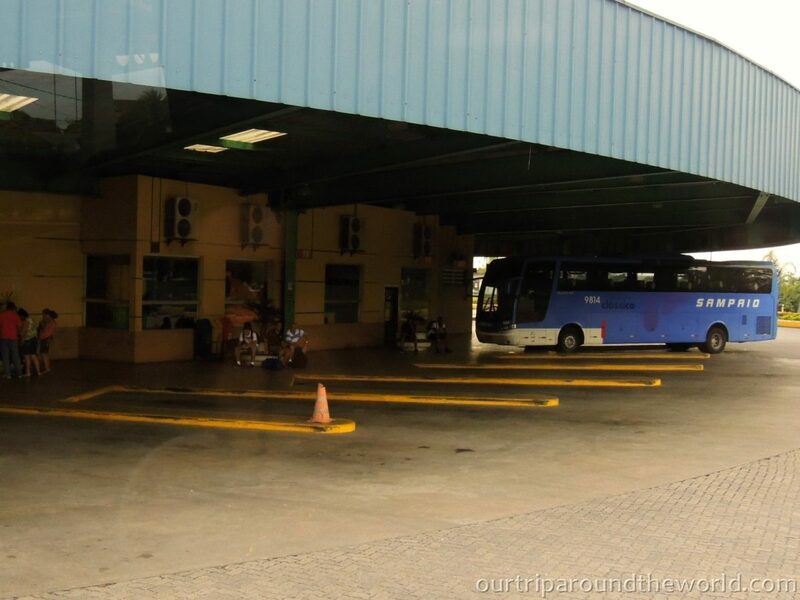 Buses operate from the Terminal station, the stop can be found at the right side (from the way you arrived) behind the fence. There are 2 companies providing the service. Do not search for timetables as there are none. The intervals between the buses are approximately 20-30 minutes. And yahoo, the bus is here so get in! You can pay in BRL or ARS. Prices are a little bit different – 4 BRL (1.40 USD) or 20 ARS (cca 2.30 USD). The ticket you get is valid until Puerto Iguazu, alternatively directly to the falls in Argentina (Cataratas). You actually get two tickets from the driver, keep them for further use! First you stop at the Brazilian border. You have to leave the bus and go to the customs for the stamp. In a meanwhile your bus leaves. Well one big shock 😉 but don’t worry. And now we comprehended why to keep the second ticket. Buses never wait on the Brazilian side of the border. Therefore we had to wait. In a short time there is another bus arriving but the driver does not want to take us – bad luck? No, only a different company. Afterwards there is another bus coming but rather does not even stop even everyone was waving. 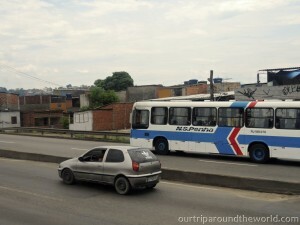 And finally there is a bus taking us to Puerto Iguazu. If you are lucky and see the bus heading towards Cataratas (waterfalls) and it is your company, simply stop it and get in, it is easy way how to avoid going downtown. We weren’t so lucky so the story continues. You get another stamp to your passport at the Argentinian border and then go to Puerto Iguazu Terminal station. At this border buses always wait. At the Terminal in Puerto Iguazu it is quite hectic at first sight. Prices in buses are different to the prices in the booths but you cannot go to the waterfalls for the price in the bus. So we bought a return ticket for 100 ARS a person (cca 11.50 USD). Well we find it pretty overpriced but if you want to see it you have to pay. So we did and got there. Return journey was basically the same, again a hunt for passport stamps that led again to 40 minute waiting on the Brazilian side for the next bus. It is exhausting but Iguazu Falls are worth it. Last of all we have a small advice: A girl we met in Rio advised us that in case you stay in a hostel it is always better to let them provide this transport for you. They wait at both borders and get you directly to the falls and back for a very reasonable price. Of course it might be a bit more expensive but saves you a lot of time. 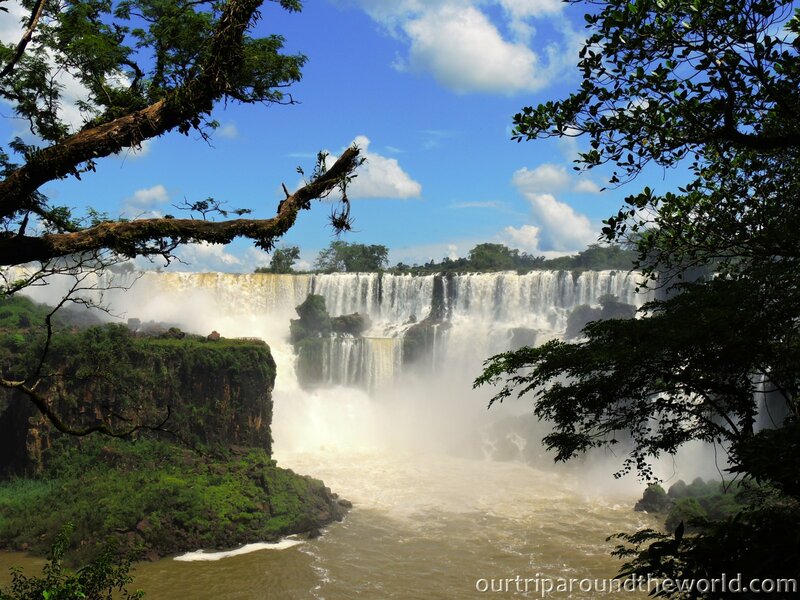 Read about how we enjoyed the Iguazu Falls.